Ukraine drew significant media attention after the 2013–2014 Revolution of Dignity and the subsequent undeclared war waged by Russia. However, the nature of these events and their impact on the social, economic, and political development of this country remain understudied and hence often misunderstood. 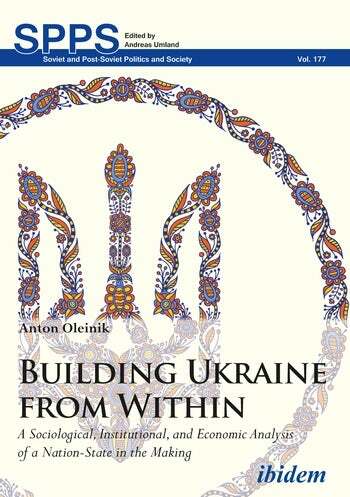 Building Ukraine from Within offers an inside look at the recent developments in Ukraine and poses the question of whether transition from externally to internally driven development is possible in this case. Anton Oleinik argues that Ukraine is currently going through a revolutionary period aimed at building a nation-state and its aftermath. Ukraine is a latecomer in this process, especially compared with most other European countries. Its outcomes cannot be predicted with certainty. It is yet to be seen if a current surge in volunteerism and bottom-up civic initiatives will lead to the emergence of a viable and sustainable national democratic system in this country.